SMARTPHONES and earphones are responsible for increasing deafness and hearing loss among our young population, a top audiologist has warned. Over the past decade, the number of people under 30 with permanent hearing damage has been on the rise across the country because youngsters are blasting their music through earphones and headphones. 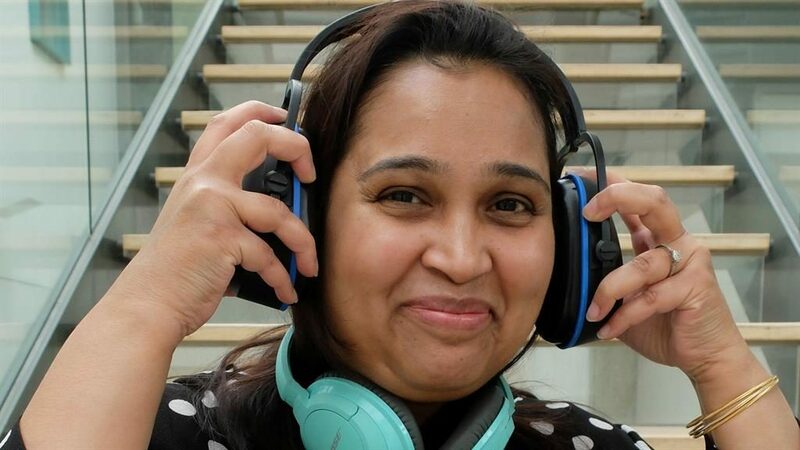 Lead paediatric audiologist at Central Middlesex Hospital Rosbin Syed said the loud music we pump directly into our ears can be the same decibel level as a jumbo jet taking off. Rosbin said: ‘It’s not hard to imagine what prolonged exposure to that sort of noise is going to do. ‘The sort of hearing loss we are treating today would have largely seen in the over 50s ten or twenty years ago. It’s a global issue. Audiologists identify and assess hearing and balance function linked to hearing disorders. According to NHS England, audiology is a rapidly developing field and approximately 16 per cent of the population suffers from significant hearing loss. There are currently 11 million Brits with hearing loss according to Action on Hearing Loss, a UK charity dedicated to helping people who suffer from deafness, tinnitus and hearing loss. The charity estimates there will be 15.6 million by 2035 — an increase of over 40 per cent. Health Policy Manager Ayla Ozmen said: ‘Young people are putting their hearing at risk due to continued exposure to loud music. Rosbin said printing warning labels on packaging for audio products and urging people to only to buy quality goods might be a solution to decrease the damage caused by headphones. She added: ‘There has to be some sort of regulation brought in to make sure all headphones are up to an acceptable standard. ‘With some of the cheaper ones you have to really crank it up which distorts the sound. Exposure to loud noises is a common cause of tinnitus and research shows more than half of people aged 18 to 24 reported experiencing the constant buzzing and ringing in their ears and one in ten adults UK wide. Yet a worrying 40 per cent of people are still unaware that listening to loud music can lead to permanent tinnitus. Another risk is noise levels in nightclubs which can exceed 100dB. In such conditions, music can only be listened to safely for 15 minutes. Ayla added: ‘You don’t have to stop listening to music or stay home all night to protect yourself. ‘If you’re going to a gig, take some earplugs. ‘Modern ones are quite comfortable and don’t ruin the listening experience as some people think. ‘Noise cancelling headphones are also really good for listening to music on personal music players when background noise is high, like on buses and trains.